Did you know that Lewis Library subscribes to a variety of statistics databases? Please see the following resources and their descriptions for more information. American FactFinder: Government resource providing community, housing, economics, and census data covering the United States and Puerto Rico. Find popular facts (population, income, etc.) and frequently requested data about a community. PolicyMap: Online GIS (Geographic Information Systems) that provide a visual representation of data through multi-layered maps, tables, and reports. This resource has data on demographics, income and spending, housing, lending, quality of life, economics, education, and health. ReferenceUSA: SaaS (software as a service) platform that accesses U.S. private/public business and consumer data. Data includes company information, executive titles, sales volume, industry code, year established, and number of employees. Social Explorer: Data visualization tool using statistics covering crime, elections, religions, carbon emissions, business patterns, and health rankings. Demographic data can be viewed through maps and reports. Statista: Statistical data covering topics in industry, demographics, marketing, and trade. Includes reports, surveys, market studies, and facts in a variety of visualization formats. Access our statistic databases from the drop-down menu on the library homepage. 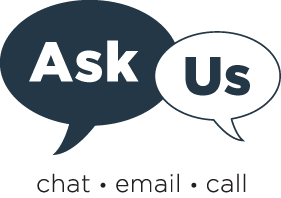 If you have questions or would like more information, please contact us at 817-735-2070 or via the “Ask Us” or “Chat Now” logos on the library website.